Bathe and shave to your favorite tunes with this wireless MP3 shower mirror. Powerful FM transmitter projects a wireless signal from any iPod, MP3 player, CD player or TV within a range of 100 ft. 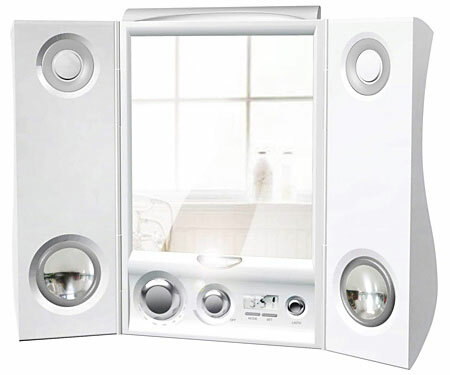 The fogless mirror lets you listen to your favorite music while saving you time in the morning.